Transportation Minister Yisrael Katz Minister calls for death penalty for murderers of Fogel family, as a message following Shalit deal. 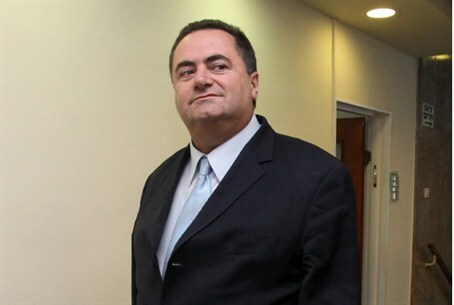 Transportation Minister Yisrael Katz Minister said on Sunday that he approached Prime Minister Binyamin Netanyahu, demanding that the Israeli government impose the death penalty on the murderers of the Fogel family. Katz made the comments during a meeting with Likud activists in his sukkah. According to a report on Kol Yisrael government radio, Katz noted that taking such a step will do justice and send a clear message, following the deal to release Gilad Shalit, that there has been a change in the government’s policy in the last 20 years. Katz called to establish clear and binding rules on this issue, in order to prevent future blackmail by terror groups which will result in the release of more terrorist murderers in exchange for Israelis. Amjad Awad and Hakim Awad, two cousins from the Arab village of Awarta, have both pleaded guilty for the murders of five members of the Fogel family on the night of March 11. Hakim has been sentenced to five consecutive life sentences and an additional five years in jail. Amjad’s sentence for his role in the Itamar massacre is still outstanding, but the prosecution has already said it does not plan on asking for the death penalty. Both cousins have expressed pride and no remorse for their bloody crimes.